1. NASH patients recruited through Gastro One in comparison to Dr. Harrison’s NASH triangle. 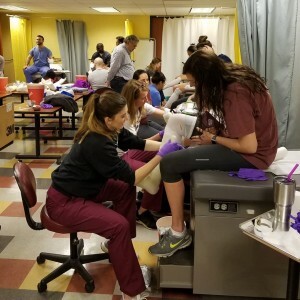 Alexandra Wakefield* Christian Brothers University, Memphis, Tennessee, Laurie Martin Gastro One research, Memphis, Tennessee, Gina Wallace Gastro One research, Memphis, Tennessee, Dr. Younes Gastro One research, Memphis, Tennessee. 2. Examining the contribution of desirable difficulty and transfer appropriate processing by priming cued words. 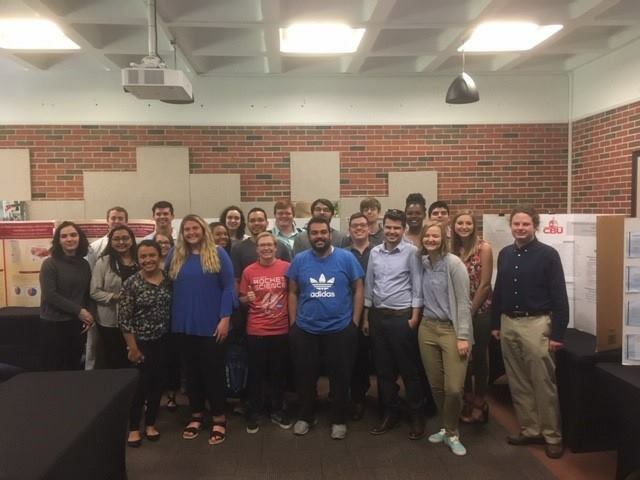 Cristina Sanchez Chontal *, Geoffrey Maddox, Christian Brothers University, Memphis, Tennessee, Rhodes College, Memphis, Tennessee. 3. An Ex Vivo & In Ovo investigation into the angiogenic and ossification properties of the silicate ion, assessing its suitability as a potential surgical scaffold component in promoting musculoskeletal tissue repair. Kyle Bellu*, Nasseem Salam* and Iain Gibson. Department of Musculoskeletal & Regenerative Medicine, Institute of Medical Science, Forresterhill Health Campus, University of Aberdeen, Aberdeen, United Kingdom. 4. The Proteome Mapping of Exosomes Secreted by Retinal Pigment Epithelium Cells Kelsie White 1, 2, Francesco Giorgianni 2, Sarka Beranova-Giorgianni 2 1Department of Biology Christian Brothers University Memphis, TN. 2 Department of pharmacy, University of Tennessee Health Science Center Memphis, TN. 5. Identification of Ryanodine Receptor type 2 from a heart preparation using ion channel modulators after receptor reconstitution into planar lipid bilayers. 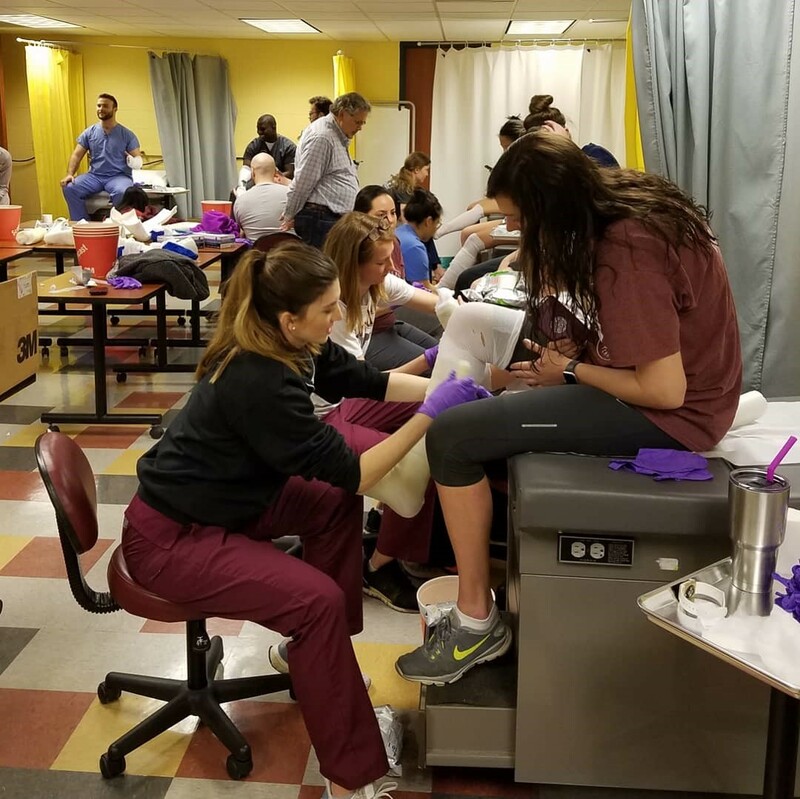 Logan Stewart*, Viksita Vijayvergiya, and Alex Dopico Christian Brothers University, Memphis, TN and The University of Tennessee Health Science Center, Memphis, TN. 6. The Effect of MCC950, an Inflammasome Inhibitor, on Blast-Induced Traumatic Brain Injury in Mice. Michael Mendez*, Saifudeen Ismael, and Tauheed Ishrat. Christian Brothers University, Memphis, Tennessee (MM), and University of Tennessee Health Science Center College of Medicine, Memphis, Tennessee (SI, TI). 7. Analysis of thalidomide effects on TNF-alpha and IL-6 inflammation factors in the THP1 cell line. Peter Kinsella, Sadia Shamsi, Neil Vargesson University of Aberdeen, Scotland. 8. Molecular Screening for Avian Malaria (Plasmodium) in Black-Bellied Whistling Ducks Sara Owen*1, Dr. Stan Eisen1, Dr. Michael Collins2, and Dr. Jerad Henson1, 1Christian Brothers University, Memphis, Tennessee and 2Rhodes College, Memphis, Tennessee. 10. Antimicrobial Resistance to Pig Respiratory Pathogens in Irish Farms. Tara McElroy*, Christian Brothers University, Memphis, Tennessee. 11. Comparison of Accommodative Facility with the New Work Rock Cards. Sakshi Sata*, Mark Taub, OD, Southern College of Optometry, Memphis, Tennessee and Christian Brothers University, Memphis, Tennessee. 13. Endoparasites of Black-Bellied Whistling Ducks in Shelby County, Tennessee. Hannah Shideler*, Stanley Eisen, and Jerad Henson, Christian Brothers University, Memphis, Tennessee. 14. The effect of Health Coach Relationships with Cardiovscular Patients and Readmittance to the Hospital. Sara Tucker*, Shanetta Drone, Pamela Reynolds, Christian Brothers University, Memphis, TN, Delta Health Alliance Stoneville, MS, and Delta Regional Medical Center Greenville, MS.
15. Effect of Laundering on the germination of seeds. Sinead Tierney, James E. Moore, Christian Brothers University. 16. A test of invasional meltdown between two invasives and one native tree of the southeastern U.S. Savannah Hottel, James E. Moore, Christian Brothers University. 17. CNS penetration of methotrexate and its primary metabolite 7-hydroxymethotrexate in non-tumor bearing mice and mice bearing orthotopic group 3 medulloblastoma. Rachel Starker*, Abi Davis, Olivia Campagne, PhD, Thandranese S. Owens and Clinton F. Stewart, PharmD, St Jude Children’s Research Hospital, Memphis, Tennessee and Christian Brothers University, Memphis, Tennessee. 18. The Prevalence of Antibiotic-Resistant Bacteria in Shelby Farms Park, Memphis, TN. Nicholas Kittrell, Sandra Thompson-Jaeger, Christian Brothers University. As part of their research component at CBU students present a poster on their work. 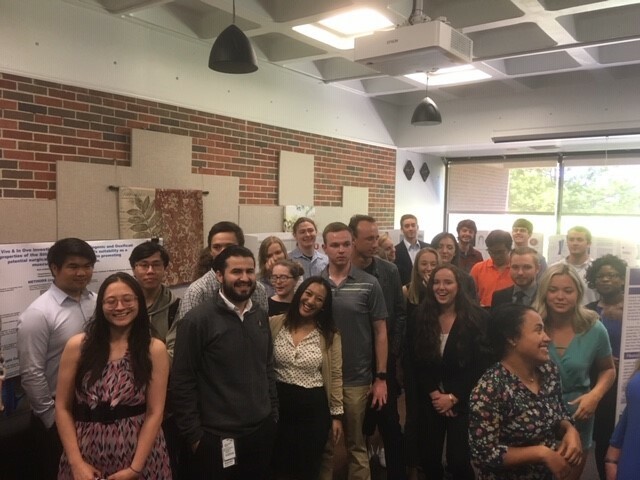 Pictured are presenters at the 23rd Annual Senior Research Poster Presentation on April 16, 2019 in Sabbatini Lounge sponsored by CBU’s Theta Chapter of Alpha Chi. The members of the two CS student programming teams and Dr. Serge Salan (center), CBU faculty sponsor. On Friday, April 12, 2019 the Consortium for Computing Sciences in Colleges (CCSC) held a programming competition at their annual Mid South Conference which took place on the campus of the University of Arkansas, Little Rock. 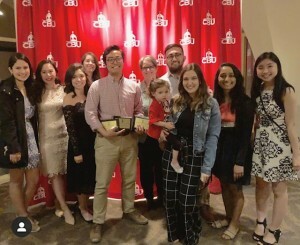 Two teams from CBU competed and got the 3rd and 5th places from a total of 15 teams. Each team consists of 3 students. 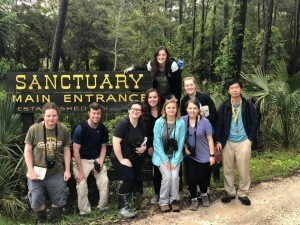 Dr. Jerad Henson took his ornithology class to the gulf coast last week. 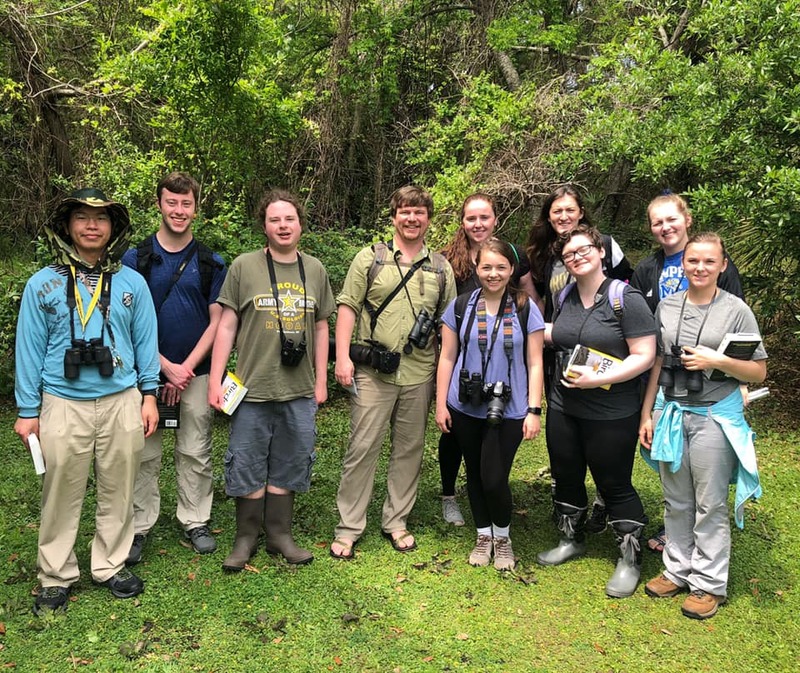 The trip was timed to coincide with spring migrations, which allowed students to encounter birds that will not make it to Memphis till after class lets out. 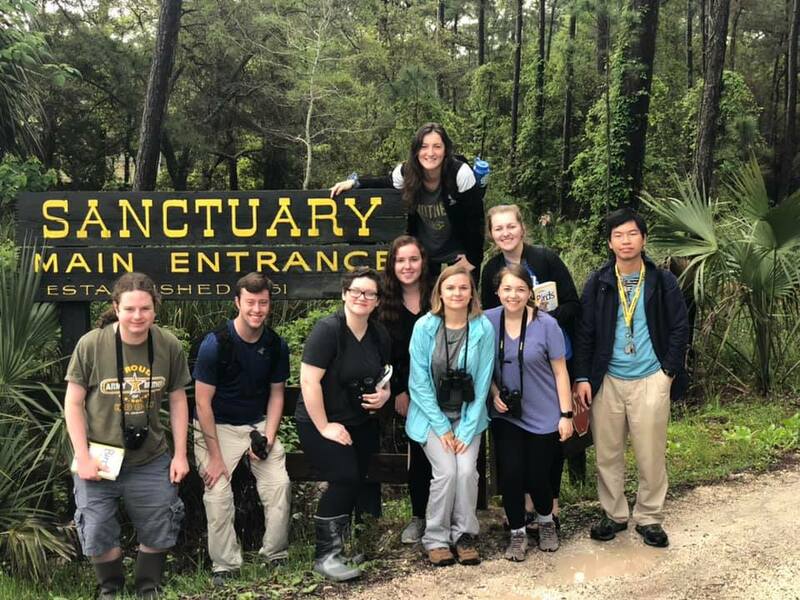 The class spent a day and a half at the University of Southern Mississippi Gulf Coast Research Lab and a day the Audubon bird sanctuaries on Dauphin Island, Alabama. It was a great trip and the students recorded over 90 species of birds in two and a half days. The biological sciences honor society, Beta Beta Beta, won CBU’s 2019 “Excellence in Programming” award. The Tri Beta president, Michael Mendez, was also honored with two individual awards: the “Spirit of Smarreli” and “RA of the Year” awards. Congratulations to all our hardworking students and Tri Beta’s faculty advisor, Dr. Mary Ogilvie (Professor of Biology). The CMA meeting was held at Ave Maria Home on February 26, 2019. The program began with Mass at 6pm followed by an information program on the Green House Concept by Frank Gattuso, a brief lecture on “Rehabilitative Medicine,” by Robert Green, M.D., and a tour of the Green House Project at Ave Maria. Dr. Gary Tooley, Lucille Starks, Cheryl Scott and La’Tosha Brown attended. The following CBU PA students attended: Shruti Anthony, John McDonald, Kristen Thelan and Sarah V Vela-Jasso. 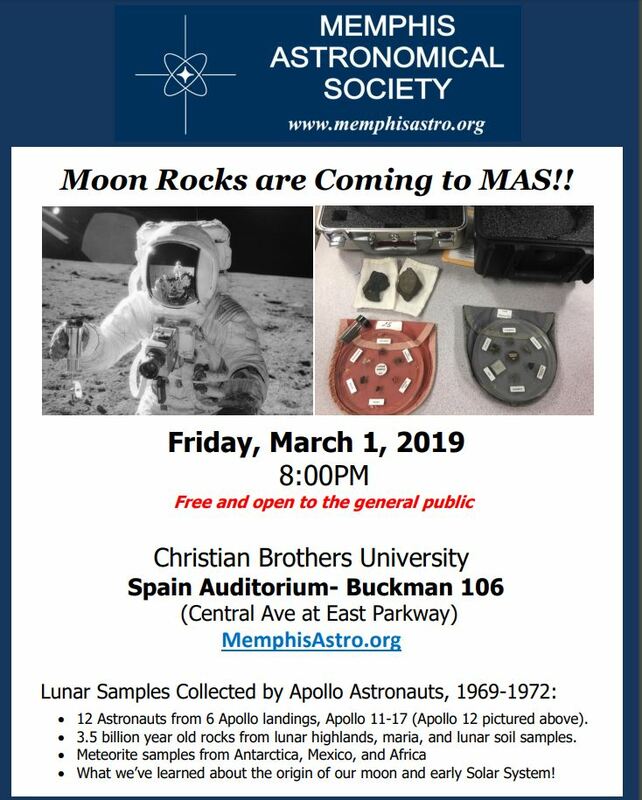 If you are interested in learning more about the CMA please visit their website. http://www.cathmed.org/membership/. ACM is the professional society for computing professionals. ACM accomplishes its work through Special Interest Groups (known as SIGs). One of the largest ACM SIGs is SIGCSE, the Special Interest Group on Computer Science Education. 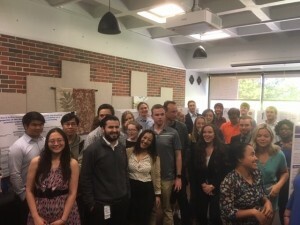 On February 27 – March 2, 2019, SIGCSE held the 50th annual Technical Symposium. The SIGCSE Technical Symposium is the largest computing education conference worldwide. It attracts over 1,500 researchers, educators, and others interested in improving computing education in K-12 and higher education. As proposed by Linda B. Nilson in Specifications Grading: Restoring Rigor, Motivating Students, and Saving Faculty Time, specifications grading is an assessment construct that relies on pass/fail grading of assignments and assessments, the structuring of course content into modules linked to learning outcomes, and the bundling of assignments and assessments within those modules. One of the intentions of this type of course grading construct is to more closely align assessment with student attainment of intended learning outcomes. While there has been very visible work in incorporating specifications grading in some academic areas (e.g. in mathematics), examples of the use of specifications grading in computer science courses are less common. The goal of this workshop is to introduce the concepts of specifications grading, explain how to apply these concepts to a wide range of computing courses, and have the participants apply these concepts to one of their current or upcoming computer science courses. Each participant should leave the workshop with at least one revised course syllabus or assignment that incorporates specifications grading. In addition to leading the Wednesday night workshop, Dean McGuffee also chaired a professional papers session on Thursday afternoon. The theme of the paper session was assessment. The topics of the papers ranged from automated programming graders, a computational thinking abilities assessment for middle grade students, and an examination on the fairness of multiple-variant multiple-choice examinations. John Davis, who was in the 4th graduating PA class from Duke University, came to speak to the PA Class of 2021 today. Mr. Davis has been instrumental in the development of the PA profession with his involvement in multiple PA organizations and promotion of the PA profession at both state and national levels. The CBU PA Program students were delighted to have had the opportunity to learn from Mr. Davis. 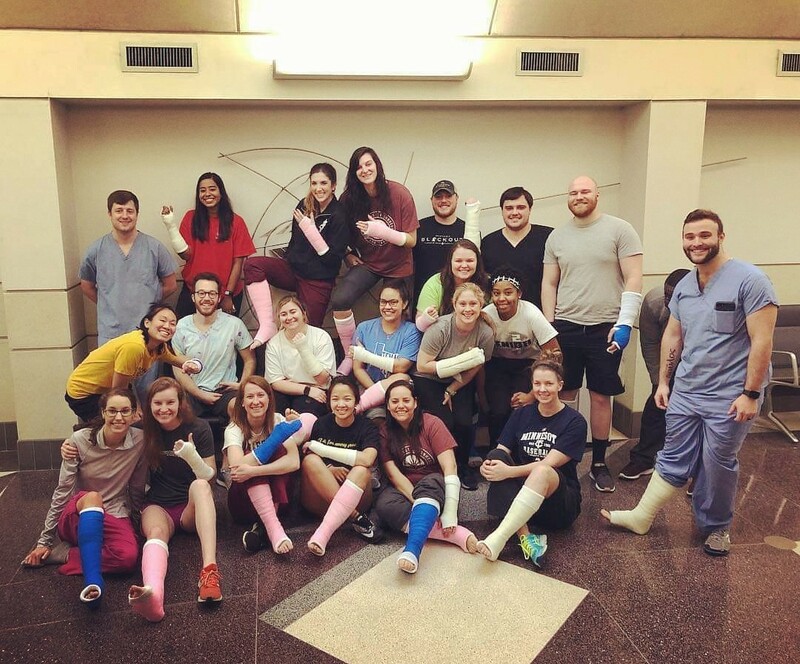 On Tuesday, 12 February 2019, PA students from the class of 2020 learned all about casts. They used each other as practice patients.